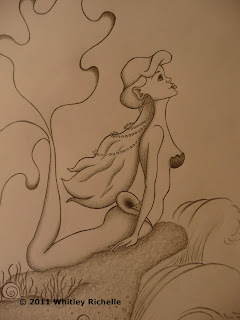 Whilst faeries will always have a special place in my heart, I also love mermaids. 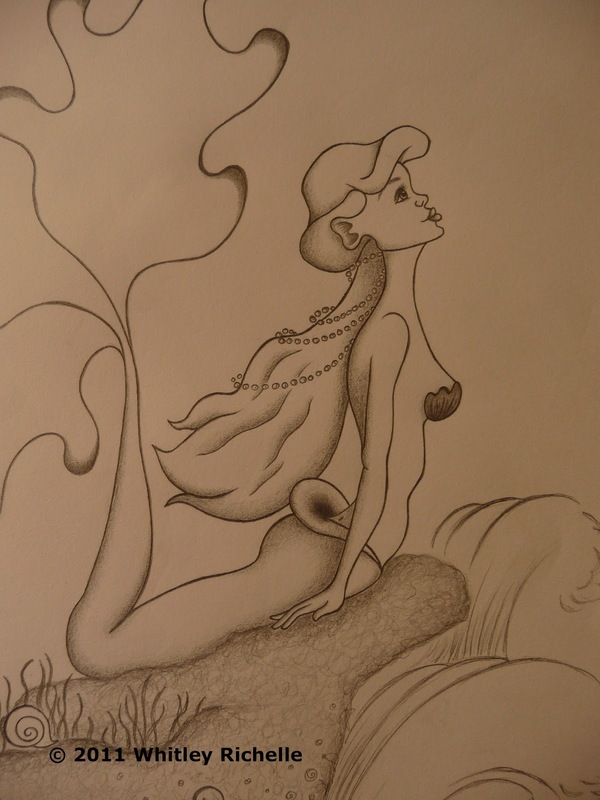 When illustrating merfolk, I love giving them gill-like fins in place of ears and adorning them in shells and strands of pearls. This one has a rather simple tail, but if making the tail the focus, you could be as creative as you want with the vein design and the number of fins drawn. Other ideas for inclusion in merfolk illustrations: Bejewelled crowns, intricate shell hairpieces, fallen human treasures, webbed fingers, blue-green complexion, sea-anenome hair, starfish headpiece, scales extending over the entire body...the creative options are endless! 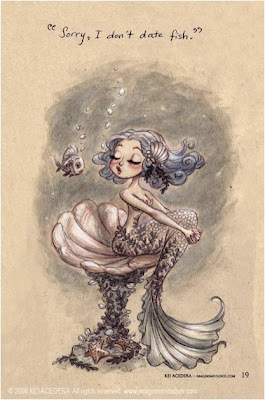 I just love the cute cartoon style, the minimal colour palette and use of under-the-sea features.